Mayor Jim Watson and Councillor Keith Egli presented the Mayor’s City Builder Award to Citizens for Safe Cycling (CfSC) today in recognition of the volunteer organization’s outstanding contributions to public safety over the past 30 years. CfSC president Mr. Hans Moor accepted the honour on behalf of the organization. Founded in 1984, CfSC is a voluntary association of cyclists who work with the City of Ottawa, Ottawa Police Service, Safer Roads Ottawa and other organizations concerned with road safety, advocating for better, safer, environmentally friendly cycling in the Ottawa area. CfSC is directed by a volunteer board whose members are experienced and committed cyclists, and run by a broad base of active volunteers. CfSC has always participated in, and contributed to, road safety initiatives in Ottawa. For example, in November 2012 and 2013, CfSC volunteers helped distribute a total of more than 350 sets of bike lights free of charge to cyclists on pathways in the city core. Its volunteers contribute many hours every year to the education of cyclists and other road users in how to safely share the road. 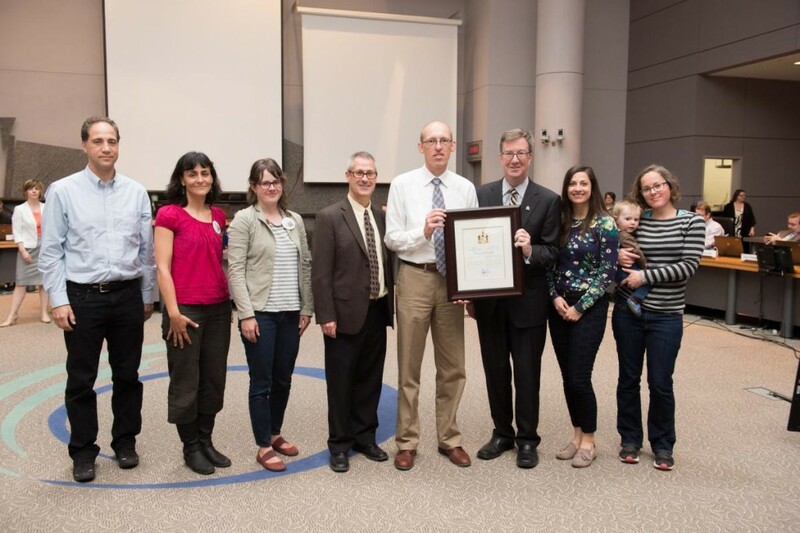 Mayor Watson noted it was appropriate that CfSC received the City Builder Award during Bike to Work Month, a time when the City and its cycling partners offer many activities that emphasize cycling safety and education.